While in general golfers welcome water about as much as house cats do (water is where golf balls go to retire), this morning our band of Golf Road Warriors took some time off from the fairways to spend two hours on, in, and under the warm pacific just off the Maui coast at Wailea Resort. Thanks go out to Sage Spalding of Maui Sailing Canoe who ably captained us out to sea and back and regaled us with stories both printable and not about Hawaiian history, celebrity sightings, the mystical power of the islands, and way more. Our ride– which needed no pimping– was a replica of an ancient Hawaiian sailing canoe– a sort of outrigger/catamaran hybrid that rode the swells like a stallion once the sail went up. It was the perfect way to get far enough out to sea to have a view back at the gorgeous shoreline, our home at the Fairmont Kea Lani looking even more beautiful with a perspective of the entire property spread along the shore, palms waving behind the white seaside villas, and the hotel tucked back in against the mountains rising in the distance. The waves were perky enough to cancel the snorkeling portion of the two-hour journey, which was just as well for jet-lagged warriors who seized the opportunity to lie back and close their eyes in the warm sun and sea spray. 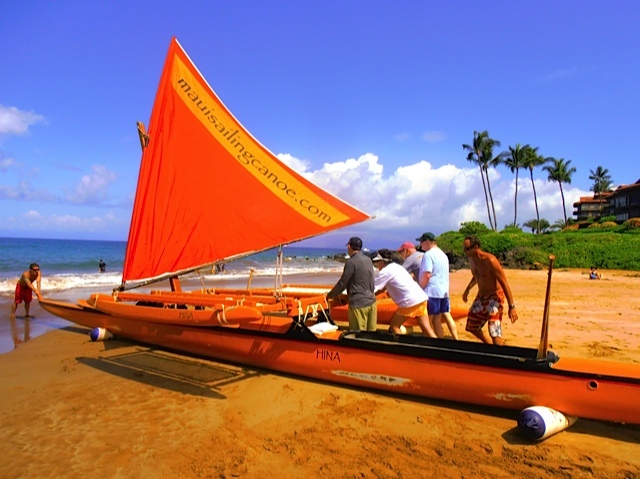 The Fairmont Kea Lani also offers its own Hawaiian Canoe Experience, which teaches guests the basics of paddling a six person outrigger, as well as its importance to Hawaiian heritage. 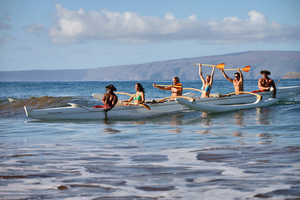 It’s part of the Fairmont’s programs tailored to visitors who desire a deeper understanding of typical Hawaiian culture. The hotel– which has its own cultural coach on staff– also offers a cultural tour that introduces guests to the use of native and non-native plants by ancient Hawaiians; a “talk story” program that teaches Hawaiian words and pronunciations; and different day-long celebrations every month. For more information click here. Jeff is the author of five books, including Beyond The Fairway and Driven to Extremes, and hundreds of articles in a variety of national golf, travel, and outdoor publications. Wallach is a managing partner and executive editor of Golf Media Network, the parent company of The A Position. Best Hotel Business Center in World?